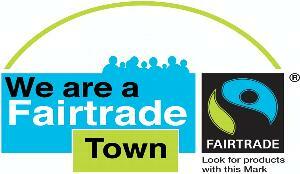 We are pleased to announce that as of August 2009, Alcester is now a Fairtrade Town! encourage the consistent use of fairtrade products in all areas of the community - in the workplace, in organisations and schools and in faithgroups. As a professional coach and mentor I am in the business of helping individals to achieve challenging goals - so it makes sense for me to be engaged in a few myself! I believe Alcester becoming a Fairtrade town helps strengthen our community whilst achieving a worthwhile goal - that of making sure that what we purchase rewards producers fairly and gives them the opportunity to invest in their communities. I'm convinced that if we were to trade lives with the farmers who grow our coffee, tea, and cocoa (to name just a few products), we'd be glad that to know that consumers on the other side of the world cared enough for us to get a fair and stable price for our goods. As a Town Councillor for Alcester, I am right behind getting our town Fair Trade status. I’ve lived here with my husband for some fourteen years or so having moved here from London. What attracted us to Alcester in the first place was its individuality and character – and long may it stay that way. Getting more people on board to promote Fairtrade goods in our local independent shops can only be beneficial to the town as a whole as well of course, to those who make the products in the first place. The Town Council has made me the champion for Fairtrade in Alcester but knowing how Alcester folk get behind issues and concerns that affect the town, they will be the best champions for Fairtrade goods. As a local businesswoman, I run the Venue Xpresso, a small independent cafe on the Alcester High Street. I've always actively supported the promotion of our local businesses because they add to the vibrancy of the town and make Alcester the individual place it is. The aims of Fairtrade dovetail into what we are all trying to achieve - the sale of goods both local people and from further afield that give the producer, maker or grower a fair deal. That's why I am offering customers the choice of a range of Fairtrade coffee, tea and fruit-based snacks. We all want a fair deal - let's face it, as small local business people we know all about fighting to survive - so if we can also support Fairtrade it makes a lot of sense all round.